Worthing Musical Comedy Society Youth Company - Join Today! Founded in 1999, the Youth Company began in a small way with a week long Summer Spectacular. It was clear from the outset that a large number of talented young people needed an outlet for their creativity as well as an ongoing framework for their burning desire to be on stage. Almost twenty years later the Youth Company have two busy workshop sessions each Saturday in term time, to quench this thirst for all things theatrical. 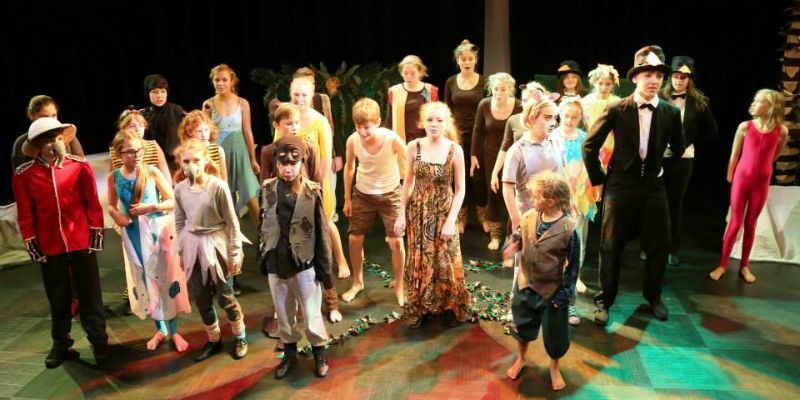 The youth company also produce their own shows, with previous performances including “The Lion, The Witch and the Wardrobe”, “Roman Invasion of Ramsbottom”, “Musical Mosaics”, “We Will Rock You” and our 2008 production of “Musikoo”. A performance of “Honk” was staged at the Pavilion Theatre, Worthing in 2006, from which the company raised over £3,000 for the charities Mencap (Worthing) and The Orpheus Trust. 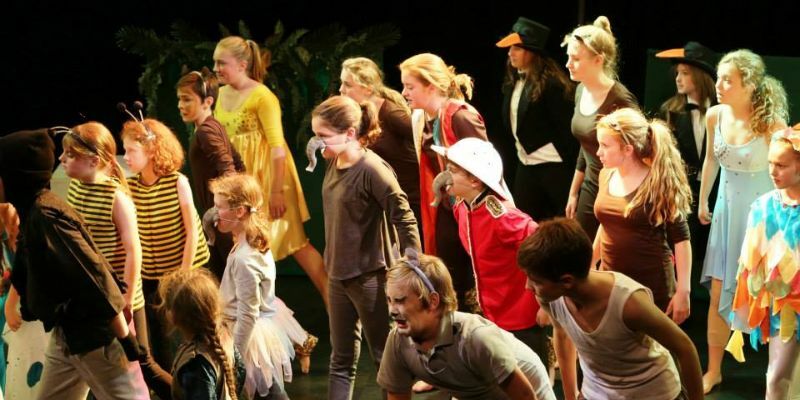 The Youth Company accepts membership for children from the age of eight and offers workshops involving all aspects of musical theatre, including dance, acting, singing and percussion, as well as backstage areas such as make-up lighting and sound. There is no audition for membership, the only requirement is enthusiasm. The children also benefit from a wider peer group and social activities such as barbecues, parties and theatre visits. 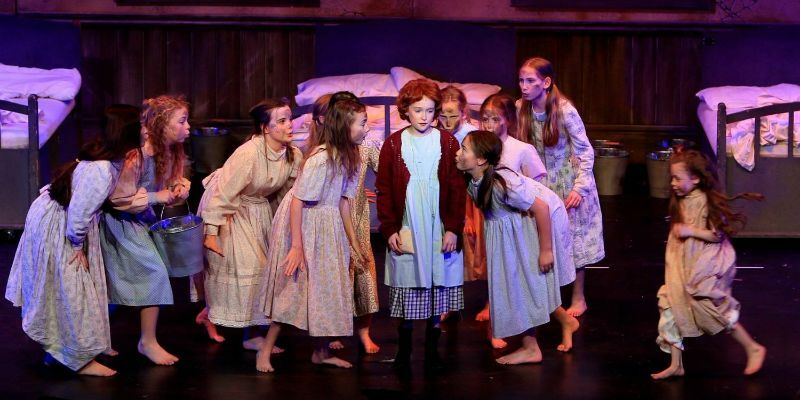 They also get the chance to audition for Worthing Musical Comedy Society shows when children are required and at the age of 15 are eligible to audition for membership of the adult company. It is advisable to put a young person’s name on the waiting list in good time to ensure that they do not have to wait too long before being able to join. 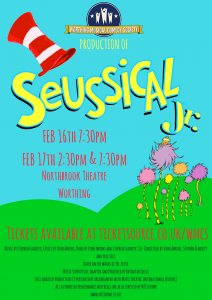 The upcoming Youth Sompany production is Seussical Jr. which will be performed at Northbrook Theatre, Durrington on February 16th and 17th 2018. Tickets can be booked below.